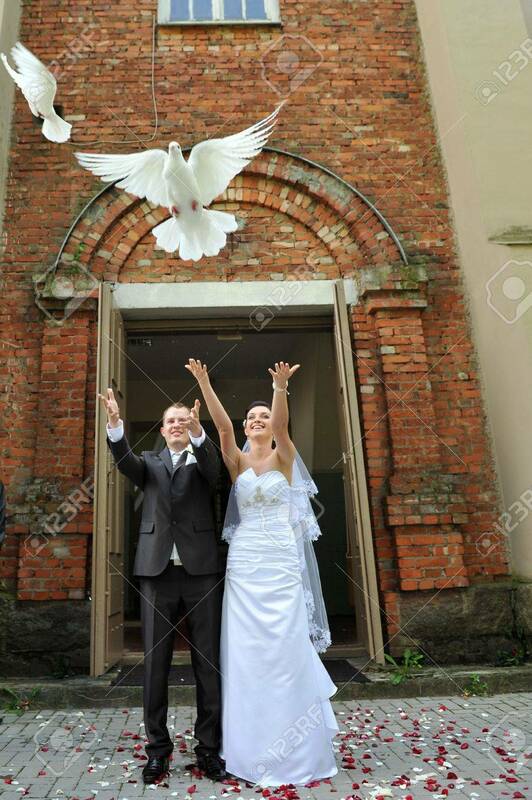 Newlyweds Releasing White Doves. Couple On Their Wedding Day Stock Photo, Picture And Royalty Free Image. Image 12653355.